Memory which is most commonly compared to the human brain is responsible for storing all the instructions and data of your device. Hence, choosing the best storage space for your device is the ultimate hardware solution to boost up the efficiency of your system. 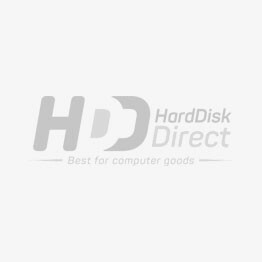 Here at HDD, we provide you with a range of memory types to choose from: Cache Memory, Desktop Memory, Flash Memory, Gaming Memory, Laptop Memory, Network Memory, Printer Memory, RAID Controller Memory, Rambus Memory (RDRAM), Server Memory, System Specific Memory, Video Memory, Server Memory and Memory boards. Memory is an important component of your device which can upgrade your system’s performance with just one simple addition! Adding memory to your system means that you are actually choosing one of the cheapest methods to upgrade the efficiency of the system while at the same time you do not need to possess a sound technical knowledge of hardware. Adding more RAM can aid you to multi-task while dealing with numerous tasks all at the same time and not letting your device give up on you! The equation is pretty simple which goes like the more RAM you have, the better the efficiency- hence do not miss out on the chance of upgrading your memory game and consequently upgrading your device’s game! Desktop memory bags the position of being the ultimate critical solution to slow computers. Create more memory for your system and create the ultimate solution of quick response from your device because the moment to moment operations of your computer depends on memory. Hence improving the memory game of your system gives you a chance to operate faster and multi-task with ease. It is the ultimate solution to get rid of a slow running computer. Laptops usually use RAM to store memory for the commands to run fast but at the same time when that RAM gets full some of the stored information is transferred to hard drives. It is worthy to note that hard drives are way slower than RAM so in this scenario it is necessary to create an extra 4GB OR 8GB memory for your laptop! This additional RAM can ease your laptop to run heavy programs which include image editing software and multiple spreadsheets. Additional RAM is an instant upgrade to the performance. Moreover, we even provide the option of server memory because memory is a critical resource for any virtualized data center. Server memory devices can have an immense impact on memory capacity, reliability and performance for every workload on the system. While making better choices of server memory configurations you can maximize the use of your IT hardware budgets. Similarly, you can check our wide range of options on HDD to choose the best fit for your device.